Leigh specialises in criminal cases of high complexity domestically and internationally. 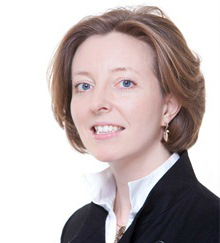 Leigh has expertise in the drafting and arguing of applications under the Double Jeopardy (Scotland) Act 2011. She was instructed as junior counsel to the Lord Advocate in the first application to be made under the 2011 Act, HMA v. Sinclair, and in the subsequent successful prosecution known as the World’s End murder trial. Leigh was also instructed as junior counsel in the second successful application to be made under the 2011 Act, HMA v. Coulter et al., which concerned the 1998 murder of Surjit Singh Chhokar. Leigh also has experience in criminal appeals both in relation to conviction and sentence. She has appeared as junior counsel to the Lord Advocate in an appeal before 7 judges regarding the operation of section 258(4A) of the Criminal Procedure (Scotland) Act 1995. At the international level, Leigh is currently instructed in two cases before the International Criminal Court. She is instructed as counsel as part of the Defence team representing the Deputy President of Kenya, Mr William Ruto, and is also instructed as part of the Defence team representing the Darfuri revolutionary, Abdallah Banda Abakaer Nourain. Prior to calling to the Bar, Leigh worked as part of the prosecution team in the successful prosecution of the former president of Liberia, Charles Taylor, before the Special Court for Sierra Leone. After calling to the bar, Leigh continued to be instructed in the Charles Taylor case, preparing the Prosecution’s final trial and sentencing briefs and then as appeals consultant. Leigh was also a commercial lawyer for 6 years in private practice. Prosecutor v. Charles Ghankay Taylor, 2012 – part of the prosecution team which successfully convicted the former President of Liberia, Charles Taylor, for crimes against humanity and war crimes committed by rebel forces in Sierra Leone. Taylor was sentenced to 50 years in prison.